"Sailor on Ice: Tom Crean" Book event June 26th at Florey's! Florey's Book Co. welcomes local author David Hirzel as he discusses his new book, "Sailor on Ice: Tom Crean: with Scott in the Antarctic 1910-1913"
There are more famous names than Tom Crean’s from the “heroic age” of Antarctic exploration, but there are few stories as compelling as his. Tom Crean: Sailor on Ice tells the story of a common man in uncommon circumstances, who met every challenge as it came with steadfast purpose. If he knew fear, he never showed it. Sailor on Ice goes with him from England to the Antarctic plateau, and back. We share his trials as they happen—the thrill of discovery, the danger of the sea-ice, the terror of extreme isolation, the tragedy of the deaths of his closest friends.Who really are the heroes of Antarctic exploration? The familiar names--Scott, Shackleton, Amundsen--belong to those who claimed to lead. But those who lead are nothing without those who come a few steps behind, hauling the gear, pitching the camp, walking the long walk, steadfast, enduring. Without these men there would be no leaders. There would be no survivors, and no story to be told. Tom Crean was such a man. David Hirzel landed at Sky Ranch overlooking Pacifica, California at the end of 30 years of wandering that started in West Virginia, with extended stops in Florida, Virginia, Lake Tahoe and various points between. In the course of time he has published numerous poems, stories and articles, two plays and an online audiodrama at , but his true calling has always been the history of polar exploration in the “heroic” age. The fascination began with a first reading of Shackleton’s Valiant Voyage in 1961, and never ended. 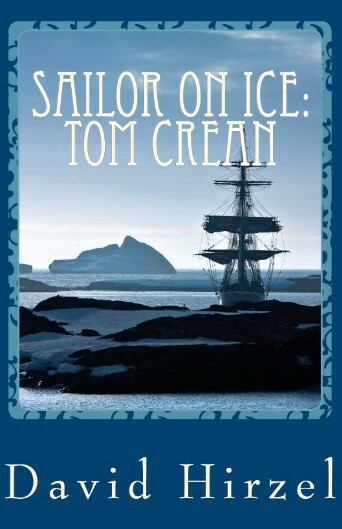 One result has been the book Tom Crean: Sailor on Ice, a labor of love that started in 1996 and hasn’t ended yet. Two more books are due in the series, covering Crean’s early days in Scott’s first expedition, and his triumph against all odds in Shackleton’s “Endurance” expedition. He lives at Sky Ranch with the cat Bellerophon (named for the ship of the line in Nelson’s navy), watching the whales and the Pacific sunsets. 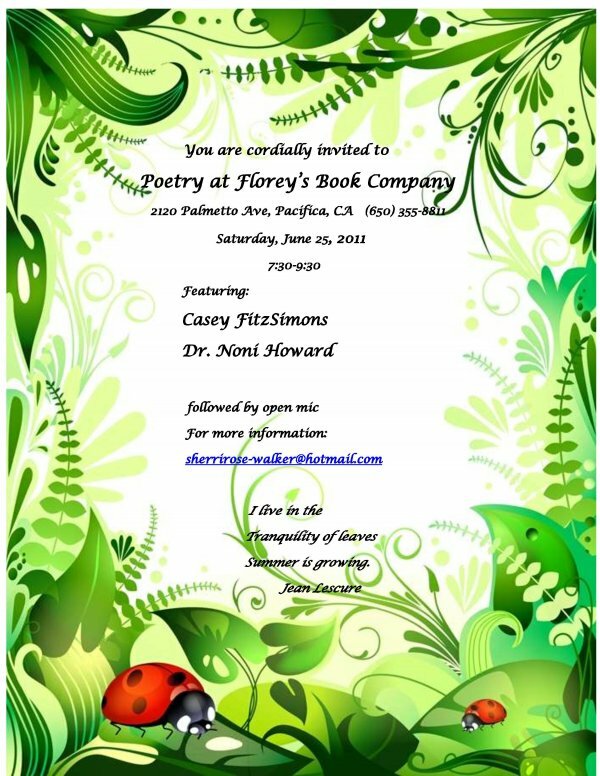 June 25th -Poetry at Florey's- info! Florey's Books would like to invite you to the June Poetry at Florey's event. Note that the start time is now 7:30 pm, so if you'd like to sign up for the open mic period, you need only come a few minutes early. They will be followed by an open mic period. Come and share a poem, or just enjoy the poetry of others! "Flick Nation" book signing, June 25th at Florey's! 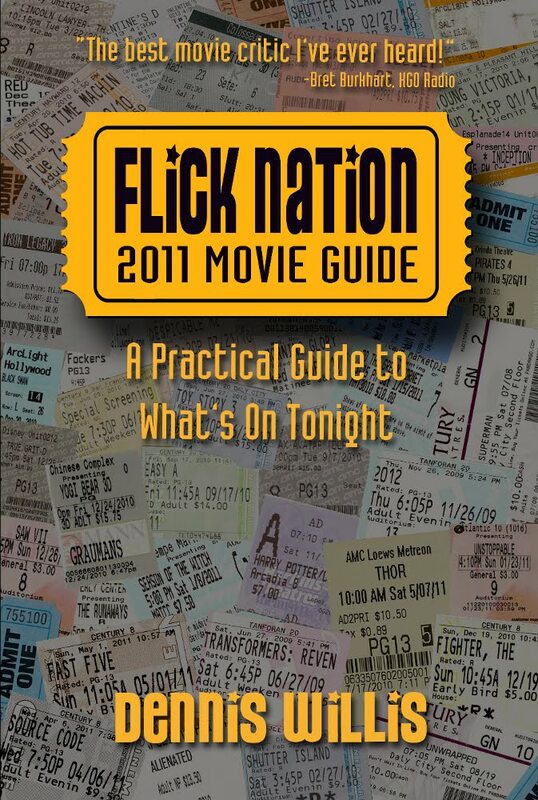 Florey's Book Co. welcomes local author Dennis Willis as he discusses his new book "Flick Nation 2011 Movie Guide". 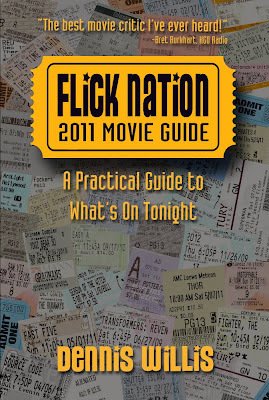 FLICK NATION: 2011 MOVIE GUIDE, Dennis Willis’ annual compendium of capsule movie reviews features 825 current reviews (including nearly 100 direct-to-video releases not covered in other books), Oscar commentary, box office, and rare trivia. Also featuring a one-of-a-kind rating system specially designed for 21st century viewing! From new classics to Hollywood reboots to 3D action, it's all here! Flick Nation is an indispensable viewing guide with attitude! Dennis Willis is an award-winning producer, TV host, director, editor (he prefers Avid), screenwriter and film critic (print and radio). His written reviews have appeared in dozens of magazines and newspapers; and he has conducted over 100 interviews with Hollywood filmmakers and entertainment luminaries. He is currently the Afternoon News film critic on KGO Radio in San Francisco, and writes reviews for Examiner.com. 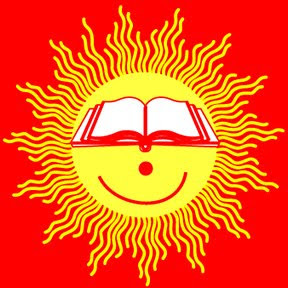 Do you have your summer reading book yet? Have you picked up a book to read this summer? Florey's Books has many to choose from. Whether you will be travelling the world, or staying right at home, we have something for almost everyone. Also, Florey's has your required summer reading books in stock for local students. You can always call or email to see if we have the book you are after, and special order books usually arrive in just a few days time.